Discover up-to-date Candler Park homes for sale & neighborhoods in Atlanta GA below! Mention Candler Park to someone, and the first thing that will spring to mind is, well, the park. With the exception of Piedmont Park, Atlanta’s crown jewel green space, Candler is the place people from all over Atlanta will flock to on those first few perfect days of spring, be it for a quiet picnic, a bustling festival, or a movie on the lawn (the pool doesn’t hurt either, especially when August rolls around). Learn more information about Candler Park properties for sale in Atlanta or schedule a private showing by contacting your Candler Park real estate professionals today. Searching for a home to buy in Candler Park? Contact your neighborhood real estate agents, The Keen Team, for professional help in the real estate market near Candler Park, Atlanta. Call us at (404) 270-9374 today! Structured with one of Atlanta’s finest parks as its centerpiece, the quiet neighborhood of Candler Park grants residents a laid-back life that’s still close to the action. Needless to say, there’s a neighborhood here, too, and a really adorable one at that. Some of the homes date back to the mid-1920s (when the namesake park was first being developed), but some examples dating back to the late 1800s can still be found. Still, over the years, new construction has taken place, bit by bit; the result is a well-maintained collection of architectural styles that span a century and a half. The residents, meanwhile, share a commonality with most of the folks who live in the surrounding neighborhoods. They’re typically professionals of some persuasion, though retirees and young families aren’t too hard to come by, either. They appreciate the proximity to the city, but prefer a bit more peace than can be found in the bustle three miles to the west (especially during the off hours). It’s all wrapped together with close-by outdoor activities, funky entertainment options, and a group of neighbors who are the slightest-bit eclectic, and who appreciate having a cozy place to grow with. Candler Park is located almost exactly halfway between Decatur and Atlanta, just south of the Ponce Corridor, and a few miles due south of Emory and the Centers for Disease Control. To give a frame of reference, the neighborhood’s western edge touches the heart of Little Five Points. The land on which Candler Park is located was donated by Coca-Cola magnate Asa Griggs Candler in 1922. The lavish, 55-acre green space gave a jolt to the sleepy neighborhood, and with this renewed interest, the neighborhood was allowed to grow in a very organic and gradual manner over the century. A central location, that’s just Intown enough. Those with active lifestyles love it here. The namesake park is a pretty sprawling place, and comes complete with a pool (when in season), tennis courts (Atlanta is HUGE into tennis clubs), a nine-hole golf course, and a network of running and walking trails that connect directly to parks that connect for miles from Old Fourth Ward to Emory Village. This part of Atlanta is strewn with parks and public green spaces of every shape and size. Many of them connect, and it’s possible to travel for miles on foot with little need to cross too many thoroughfares to get from one to the other. But as far as this neighborhood is concerned, the main attraction is, of course, Candler Park itself. It’s easy to forget that some really convenient shopping is closeby (without feeling like it). A few minutes’ walk away, in Edgewood, the Retail District boasts a Target, a Kroger, Barnes & Noble, Lowe’s Home Improvement, Best Buy, and some smaller shops and eateries. Festivals in Candler Park don’t happen every weekend, necessarily, but they do happen. If you rely on street parking, learn the calendar, and plan ahead: one of the few frustrations residents have is that they sometimes can’t find spot in their own neighborhood. If you have a driveway, however, take advantage of the situation—residents here have been known to charge $20 to let people stash their car for the day. With Ponce de Leon to the north and DeKalb Avenue to the south, surface street travel to Atlanta and Decatur is easy. Moreland Ave is the main north/south route, lying to the western edge of Candler Park. Driving north, Moreland turns into Briarcliff Road, which leads straight to the Emory University area. Interstate 20 isn’t too far away; going south on nearby Moreland Avenue is a few-minute drive to the onramp. Likewise, it’s only about 10 to 15 minutes to get to the connector (a straight-shot on Ponce or DeKalb Avenues), and a little bit farther than that (to the east) to hit the I-285 Perimeter. Candler Park is served by Edgewater-Candler Park station, located on the southern edge of town on DeKalb Avenue; this line takes travelers east and west. This two-day shindig typically lines up during the last few weeks of spring (around early June); attendees flock to it to enjoy the last dregs of pre-summer weather while trying fare created by local chefs, and seeing some of the best live acts in the South. The most popular listing on the Candler Park calendar, this two-day festival (held in the beginning of October) includes music, art, family friendly events, a 5K race, and a tour of homes. 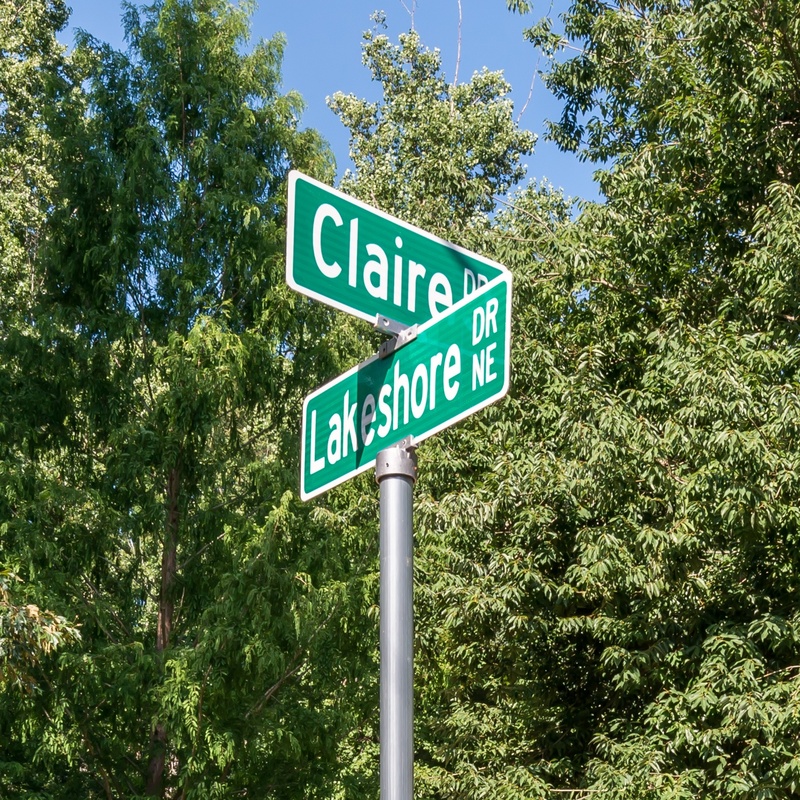 If you're considering a home in Candler Park, connect with our Atlanta real estate professionals for help with the ins and outs of local properties. Our Candler Park real estate agents have up-to-date knowledge on the unique market dynamics of Candler Park real estate. Contact The Keen Team for more information on representation for Candler Park buyers and sellers. If you're planning the sale of a house in Atlanta, visit our free property evaluation page to find the value of your Candler Park residence now!